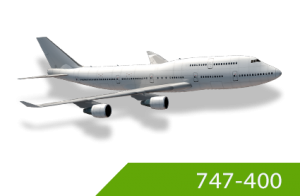 This Boeing CBT Interactive Course is designed as a Systems Knowledge CBT for both Initial and Recurrent Training for Boeing 747 Aircraft. It is available in both the Passenger and Freighter versions. The Freighter version has both the nose load and side load differences. This CBT provides complete systems training by use of text, audio, graphical animations, and level 3 interactive training, providing the highest level of learning. Each module has its own knowledge assessment for evaluating the understanding of the Boeing 747 type rating course. Click here to learn more about the variety of online aviation courses we offer, including a number of Boeing CBT courses. This course is available as a Freighter with Pratt and Whitney or as a Passenger with General Electric. This Course can be delivered in either Metric or Imperial Units.